January 24-27 – Los Angeles is the place to be for the 18th annual LA ART SHOW, presenting over 100 galleries from 14 countries. Unique among art fairs, LA Art Show features four distinct sections: Modern & Contemporary, Historic & Traditional, Vintage Posters, and the IFPDA Los Angeles Fine Print Fair. Also on the same dates you can visit Art Los Angeles Contemporary held in nearby Santa Monica, presenting 70 galleries from around the world. 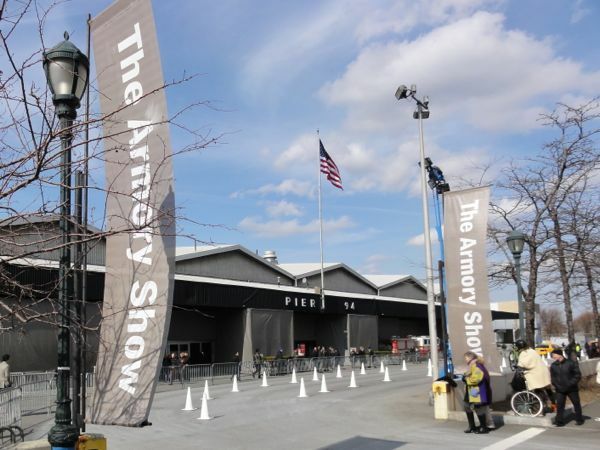 March 7-10 – Don’t miss THE ARMORY SHOW in New York, one of the world’s most significant art fairs. Plus during this same week you can catch the other art fairs held across Manhattan, including The Art Show, Volta, Scope, Fountain and Independent. 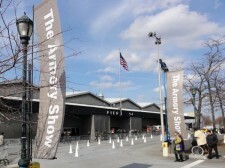 May 10-13 – Check out the second edition of FRIEZE ART FAIR NEW YORK at Randall’s Island Park in Manhattan. June 13-16 – Head to ART BASEL in Switzerland for the grand daddy of all contemporary art fairs. Over 300 leading galleries participate in Art Basel, one of the world’s oldest and largest art fairs, showing work from great masters of Modern and contemporary art to the latest generation of emerging stars. October 17-20 – Join collectors from around the world in London for FRIEZE ART FAIR, which hosts 175 top international contemporary galleries. December 5-8 – Enjoy ART BASEL MIAMI BEACH featuring over 250 participating galleries with premier artworks from around the globe. During the art fair week, Miami Beach is like the Mardi Gras of the art world, with parties, special events and satellite art fairs happening all over town. Tip: If navigating a big art fair seems daunting to you, try doing a guided tour first to get an overview, then organize the rest of your day to see the areas that interest you the most. Some of the art fairs offer docent-led tours. Or work with your art advisor to plan your visit and get a personal tour.